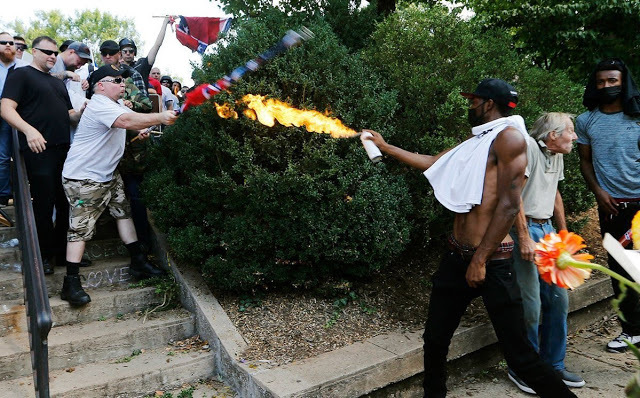 The genocide of the White race in its homelands (and, yes, that includes America obviously) is not going to be stopped without a certain amount of, shall we say, “unpleasantness.” Charlottesville proves that. Alt-Righters and other patriots gathered for a peaceful and disciplined protest, with the full expectation of politicized police and antifa launching a coordinated attack, which is exactly what happened. First, a dubious “state of emergency” was declared by the Democratic Governor of Virgina Terry McAuliffe, allowing the politicized police to start pushing patriots around. Meanwhile violent antifa groups were allowed complete freedom to assemble and launch their attacks—several protesters were maced and injured by blows and missiles while thepoliticized police stood by and did nothing. The politicized police stood by while the Left attacked our people literally with flamethrowers. The goals, as always, were (1) to physically harm nationalists and (2) provoke them into acts of self defence that could later be spun, through fake media, as “Nazi violence, oy vey!” (dead meme). But this time, it seems the Gods were on our side, as none of our guys died, while three of the enemy died, and they weren’t even killed by Alt-Righters in acts of heroic self defence (more on that later). 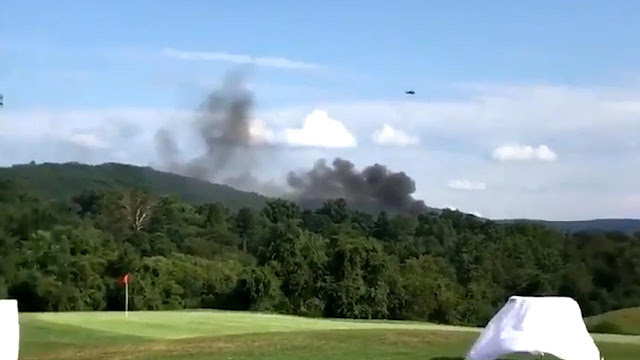 The two politicised pigs flying the helicopter were killed after the helicopter spiralled out of control after buzzing and spying on protesters. .
Boo hoo, so sad, never mind. 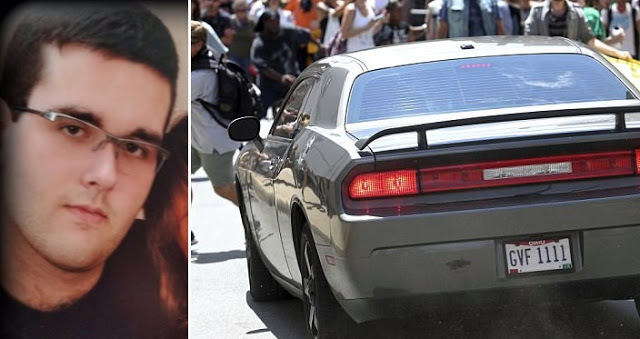 The lone antifa, a 32-year-old woman, was killed in more complex and ambiguous circumstances, when a 20-year-old White man, James Alex Fields, apparently panicked and drove his car into a large, violent, Left-wing mob swarming round his car. There is now much speculation about this. Fields crashes into violent mob. The leftist and anti-White media are of course trying to link him to the Alt-Right, but, from everything they have dug up about him, he appears to be at worst a confused loner who was acting directly contrary to the spirit and intentions of the organizers of the demonstration, and possibly in direct response to the police sanctioned Leftist violence. The one death and several injuries that occurred as a result of this incident can effectively be chalked up to a self-inflicted antifa death, aided by police sanctioned anarchy. 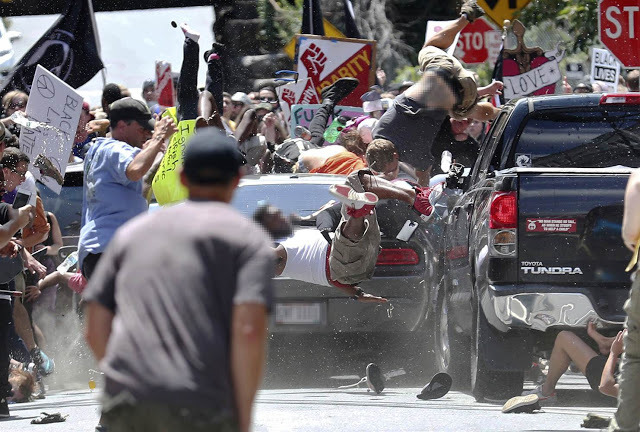 The blood in this case is as much on the hands of Governor McAuliffe, the town authorities, the police, and the antifa as it is on the hands of the car’s driver. The collusion of the police and antifa in Leftist controlled states and college towns like Berkeley and now Virginia. The fact that antifa are terrorist organizations that include severely mentally dysfunctional people who are inherently violent. The fact that the Leftist media and fake news corporations do EVERYTHING to normalize and encourage this kind of violence. So, all-in-all, August 12th will be remembered as a massive day for the Alt-Right, and an enormous victory that will spawn countless more victories in the future. Andy Nowicki joins the fray.